Book your luxury holiday to Coco Ocean Resort & Spa here. 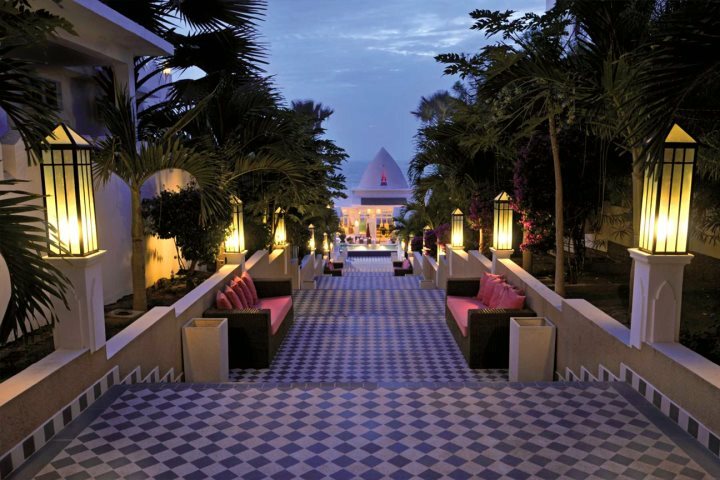 If you find you often crave a luxurious holiday in the sun, then we have just the solution for you this winter season. 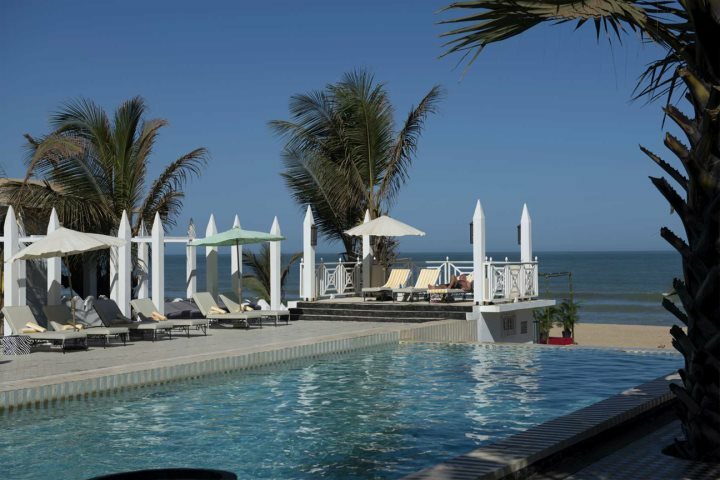 Located on a long stretch of golden Atlantic coastline, Coco Ocean Resort & Spa is the most luxurious hotel in The Gambia. 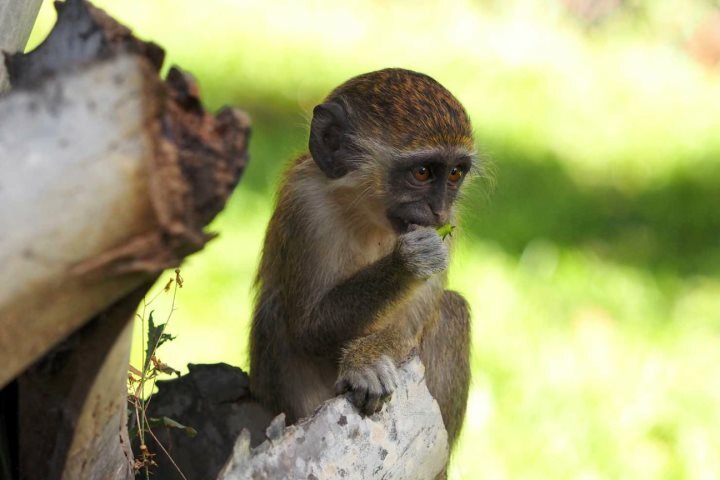 It’s a great hotel to indulge in a fantastic holiday, as well as experience the culture and wildlife that The Gambia offers in abundance. 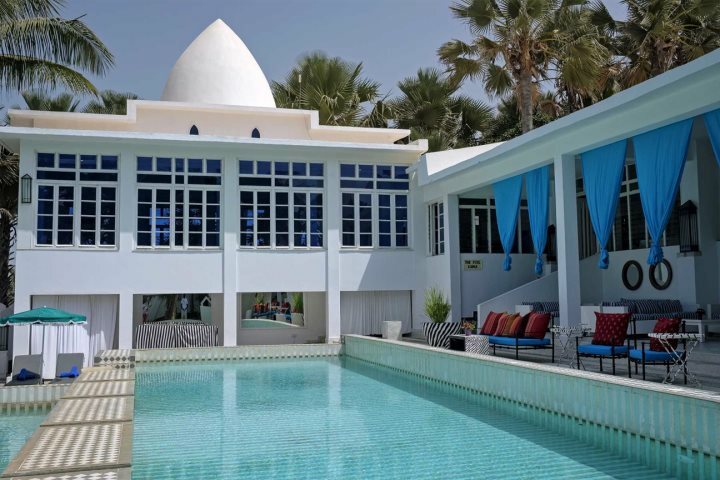 Being just a 30- minute transfer from Banjul Airport, you won’t have to wait long before you see the plush towering coconut palms and manicured gardens that frame the hotel’s grand reception area. 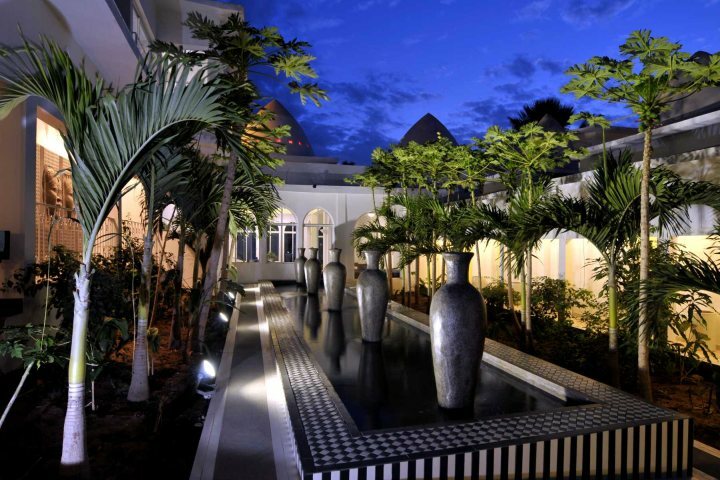 The white washed buildings with blue and green stained glass windows look particularly fresh and inviting amongst the greenery, setting the standard for the luxurious feel that Coco Ocean provides throughout. 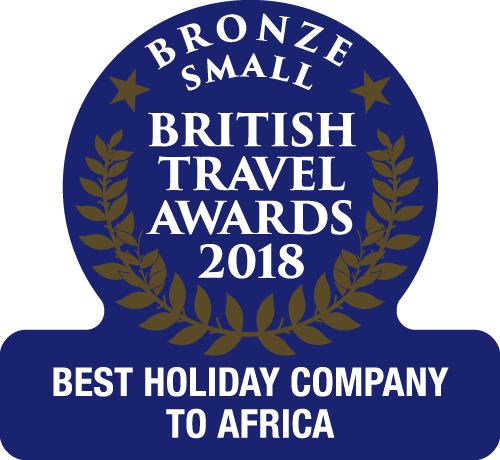 With 11 different room types to choose from, there’s something to suit everyone’s taste, and each of the guest rooms are decorated beautifully with a light and airy feel, featuring traditional African decorative pieces. Facilities include air-conditioning, bathrobes, slippers and toiletries, tea and coffee as well as all the usual mod cons. If your idea of relaxation includes a soothing treatment in a prestigious spa, then look no further. 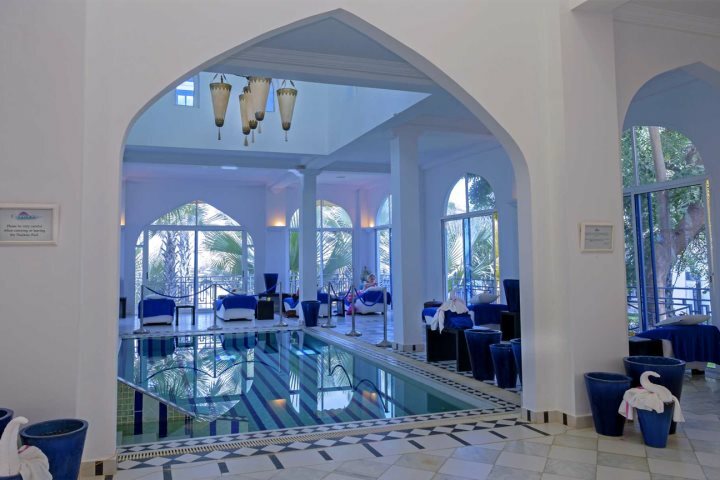 Coco Ocean is renowned for its excellent spa facilities, and with a large amount of treatments to choose from, a Thalassotherapy pool and a fully professional air throughout, it’s ideal for each and every spa lover. 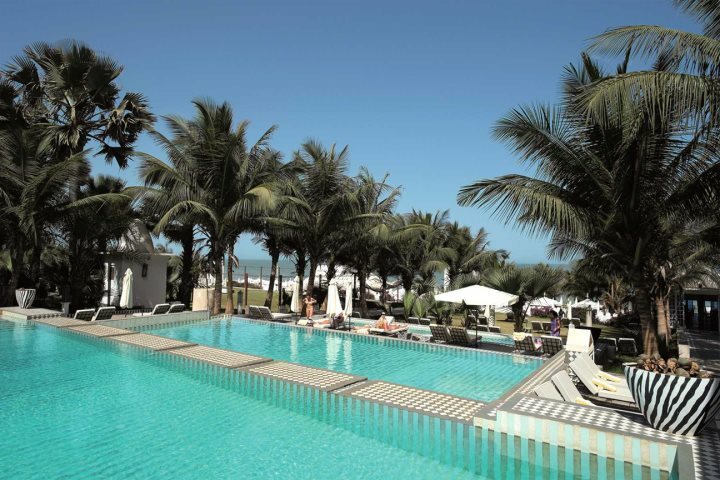 A luxury hotel isn’t complete without a selection of swimming pools to swim in, relax by and top up your tan. A three-tiered pool leading down to the beach, surrounded by gardens and coconut palms is one of Coco Ocean’s most refreshing features. Wonderfully secluded and tranquil, you can unwind and listen to not much else bar the sounds of the waves from the beach close by. A beachfront pool is also available to customers who book Club Villas and Beach House guest rooms. 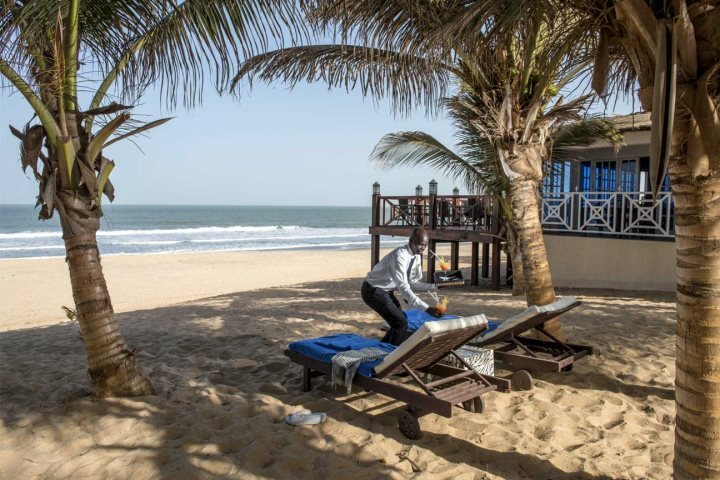 No luxury hotel in The Gambia would be complete without a glorious stretch of private coastline, and that’s exactly what Coco Ocean has. 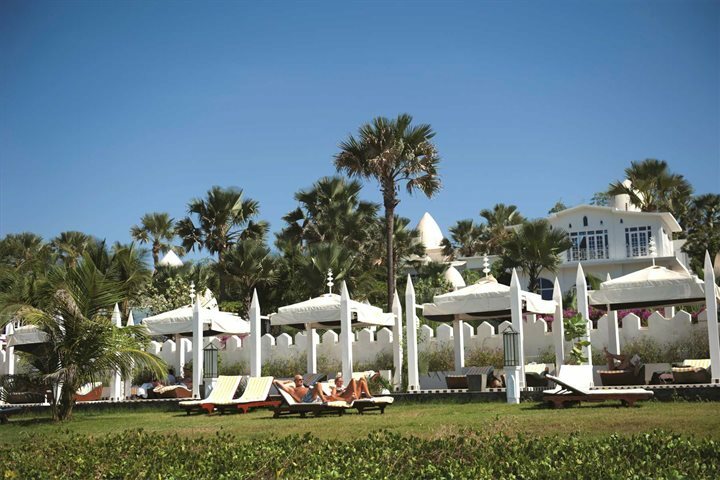 At the end of the hotel’s gardens, Bijilo Beach boasts golden sands as far as the eye can see, and private cabanas line the shore – the ideal spot to read a good book or go for a snooze. 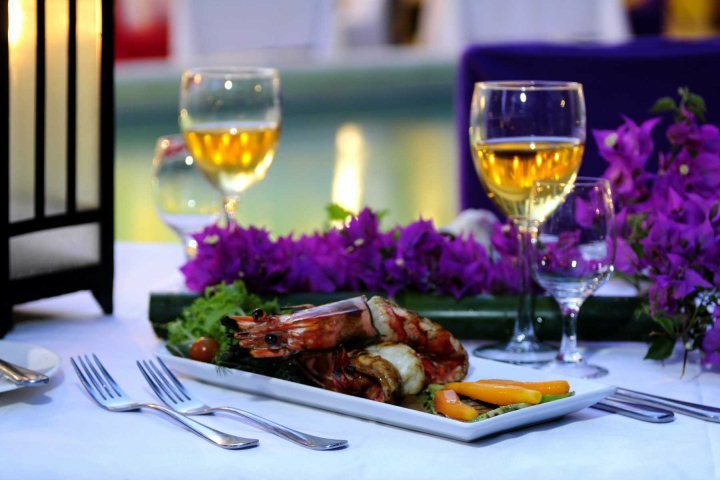 Room service is of course available for guests, but there are also two restaurants which offer exquisite cuisine. 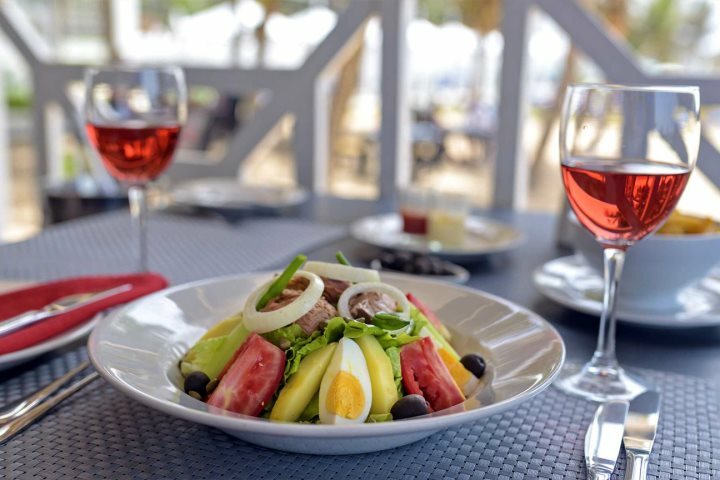 The Saffran restaurant offers guests formal dining, where you can experience à la carte breakfast and dinner, and Coco Beach restaurant serves hearty lunch time grills, specialises in Thai cuisine during the evenings and boasts beautiful views out to sea. If a luxury holiday to Coco Ocean Resort and Spa sounds like your kind of break, then you can find out more and book online.